A 20th century long-necked Greek lute. 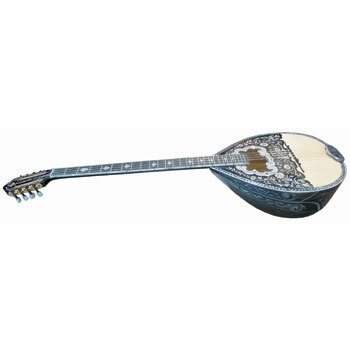 It was derived from the Turkish saz. It is the leading instrument in some Greek popular music. It has a fretted neck and a pear shaped body containing two courses of strings. Tuned like the upper strings of a guitar. Photo courtesy of Lark In The Morning.